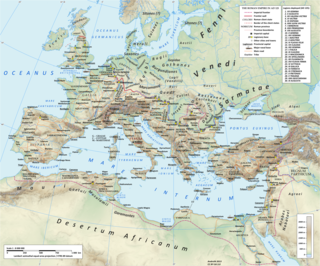 Suavegotha (died after 549), also known as Suavegotta or Suavegotho, was probably the wife of the Frankish king Theuderic I.
Suavegotha was the daughter of the Burgundian king Sigismund and his Ostrogothic wife Ostrogotho. According to the historian Gregory of Tours, Theuderic married a daughter of the Burgundian king Sigismund. He does however not mention the name of this wife. The wife of Theuderic is often identified with the queen Suavegotha mentioned by the 10th century chronicler Flodoard. According to Flodoard, Suavegotha had a daughter named Theudechild. According to the German historian Eugen Ewig, Suavegotha was the wife of Theuderich, and the daughter of Sigismund's second wife, whose name is unknown. Martina Hartmann: Die Königin im frühen Mittelalter. Kohlhammer, Stuttgart 2009, ISBN 978-3-17-018473-2, S. 66. Matthias Springer: Theuderich I. In: Reallexikon der Germanischen Altertumskunde (RGA). 2. Auflage. Band 30, Walter de Gruyter, Berlin / New York 2005, ISBN 3-11-018385-4, S. 459–463 (hier: 461). 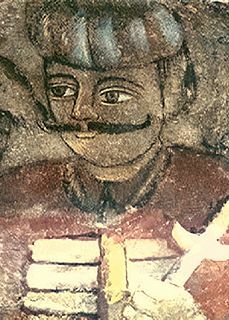 Vlad II, also known as Vlad Dracul or Vlad the Dragon, was Voivode of Wallachia from 1436 to 1442, and again from 1443 to 1447. Born an illegitimate son of Mircea I of Wallachia, he spent his youth at the court of Sigismund of Luxembourg, who made him a member of the Order of the Dragon in 1431. Sigismund also recognized him as the lawful voivode of Wallachia, allowing him to settle in the nearby Transylvania. Vlad could not assert his claim during the life of his half-brother, Alexander I Aldea, who acknowledged the suzerainty of the Ottoman Sultan, Murad II. The Hunyadi family was one of the most powerful noble families in the Kingdom of Hungary during the 15th century. A member of the family, Matthias Corvinus, was King of Hungary from 1458 until 1490, King of Bohemia from 1469 until 1490, and Duke of Austria from 1487 until 1490. His illegitimate son, John Corvinus, ruled the Duchy of Troppau from 1485 until 1501, and five further Silesian duchies, including Bytom, Głubczyce, Loslau, Racibórz, and Tost, from 1485 until 1490. The Hunyadi coat-of-arms depicted a raven with a golden ring in its beak.